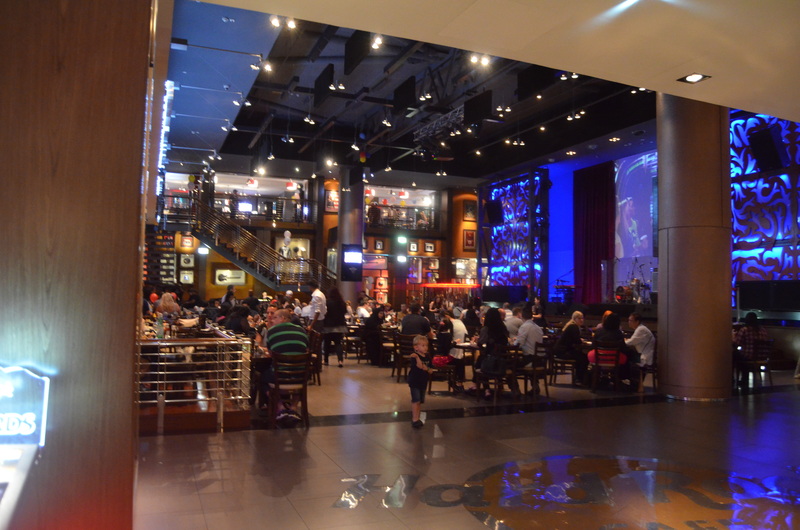 Hard Rock café is an American restaurant that has chains all over the world, offering classical American food, live entertainment (after 8.30pm) and a fantastic dine in experience! 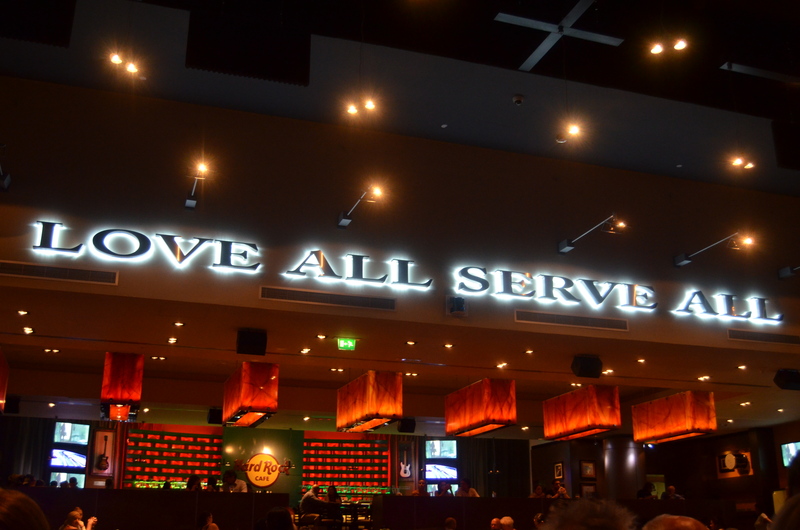 It is located just off the business bay crossing at Festival city, one of Dubai prestige malls, maybe not by size but by serenity and the design. Dubai Festival city is on the edge of Dubai, by the Deira creek, which allows the views to excel into pure beauty. 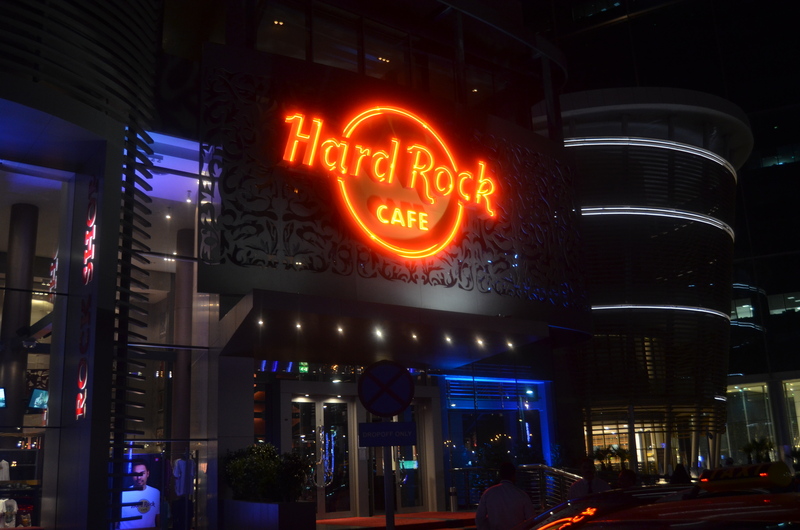 Hardrock opened in late 2011 and is still buzzing and vibrant as the very first day it opened, it is just outside the Dubai Festival City Mall and has a “Rock Shop” with all the signature hard rock garments, souvenirs and labels! 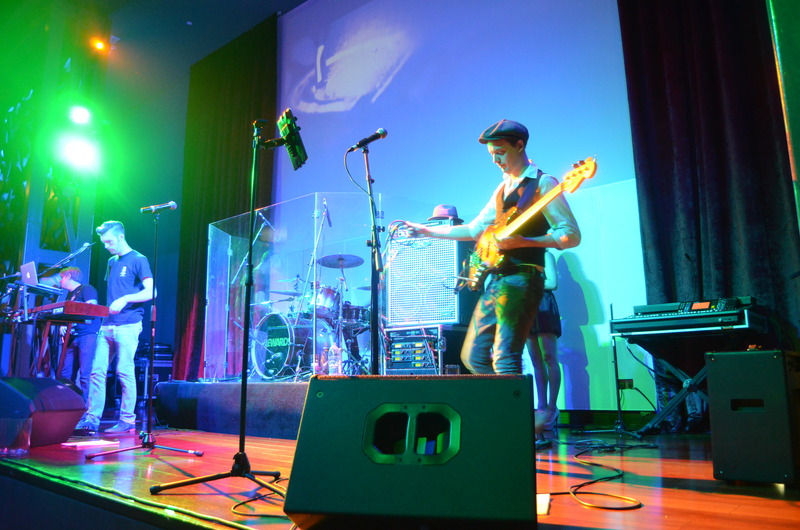 The café can seat over 200 guests and has a private VIP function room, a stage for live performances, a separate lounge which is opposite the bar, a pool and fuse ball table and active, happy, passionate staff! 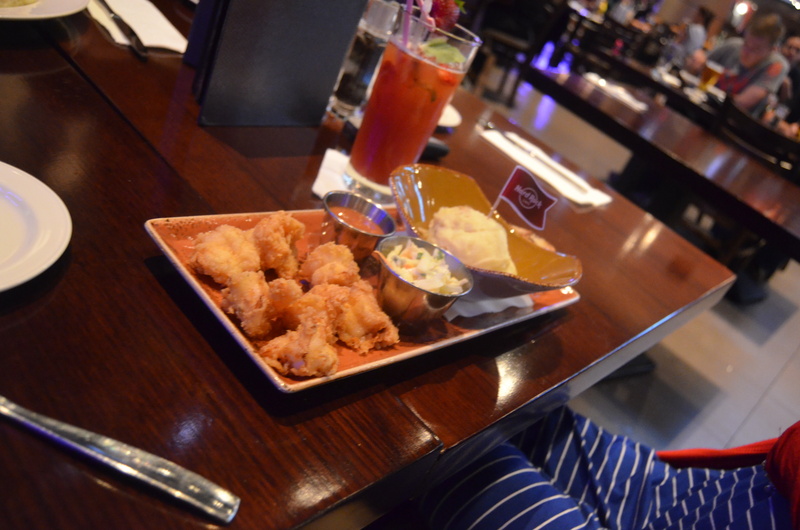 There is never a sad moment in Hard rock! 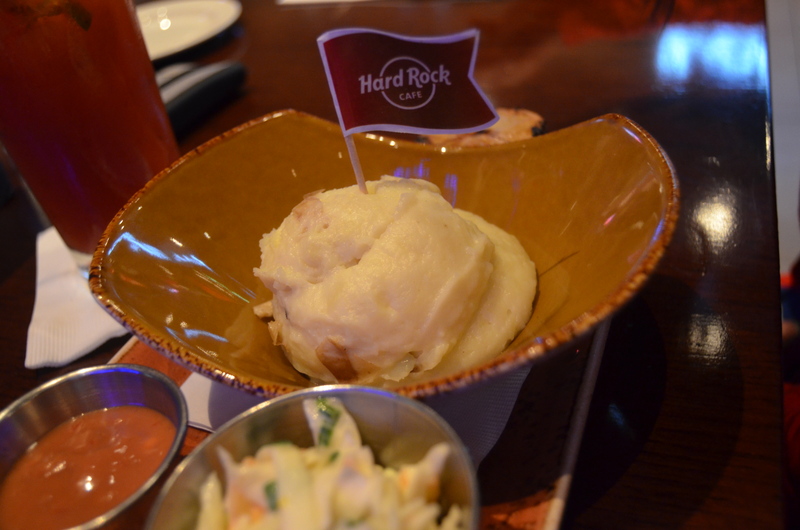 Hard rock has a wonderful selection of American style food, from steak to salads, fish and chips, burgers and a wide range of sandwiches. We opted for the fish and chips and herb grilled chicken breast with fresh mash potato, seasonal veggies and oven roasted mushrooms. 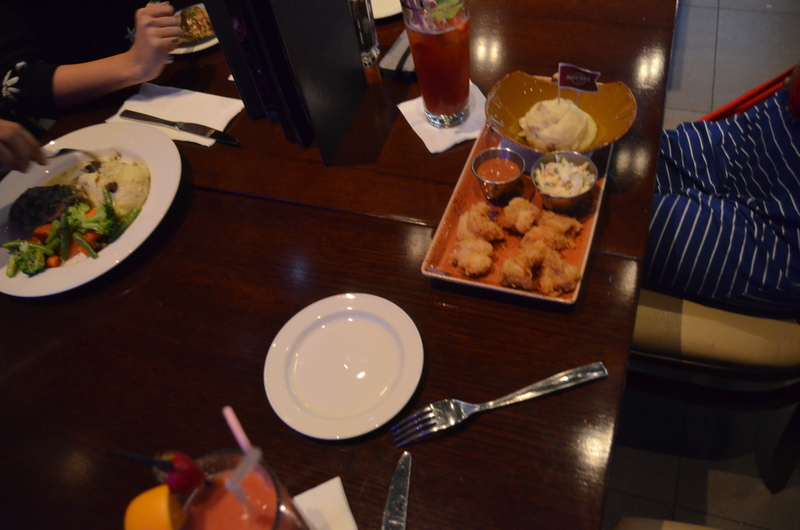 Everything from the presentation to the last taste it left in our mouths was a pure delight, the ambiance of the restaurant gives that extra boost! 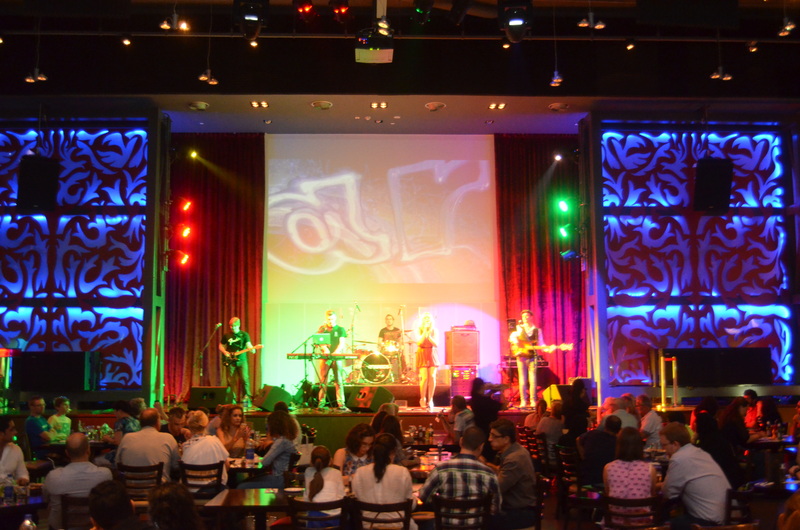 Over 21s can enjoy alcoholic beverages (as per the UAE Law) and a night full of music and true American dining! 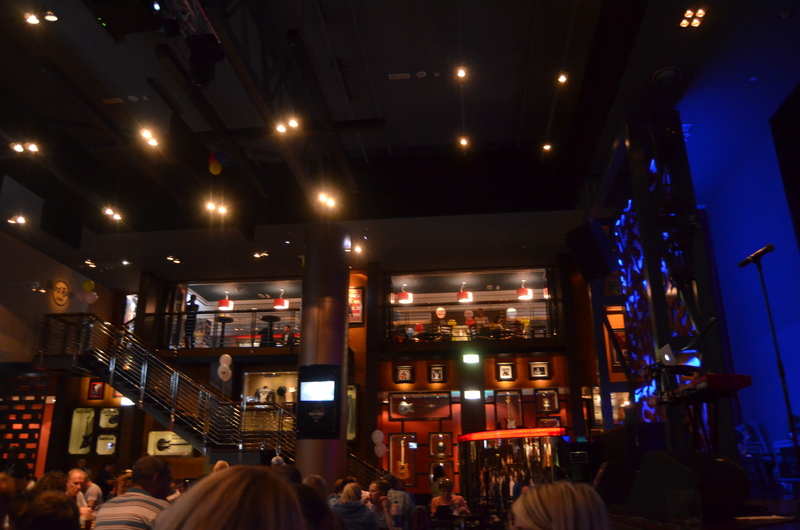 As you enter the restaurant on your left hand side there is a little section for pool and an American motor cycle on display for all those posers and fanatics! 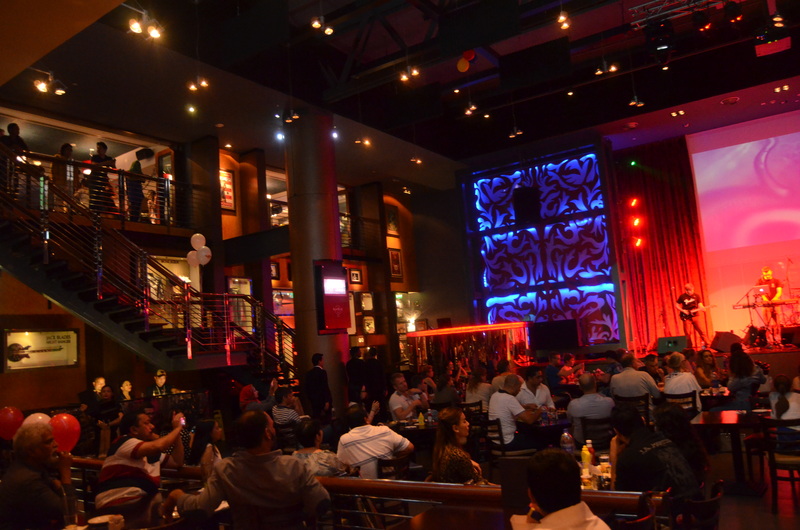 The walls are plasters with mementos and famous musicians, celebs and American culture! 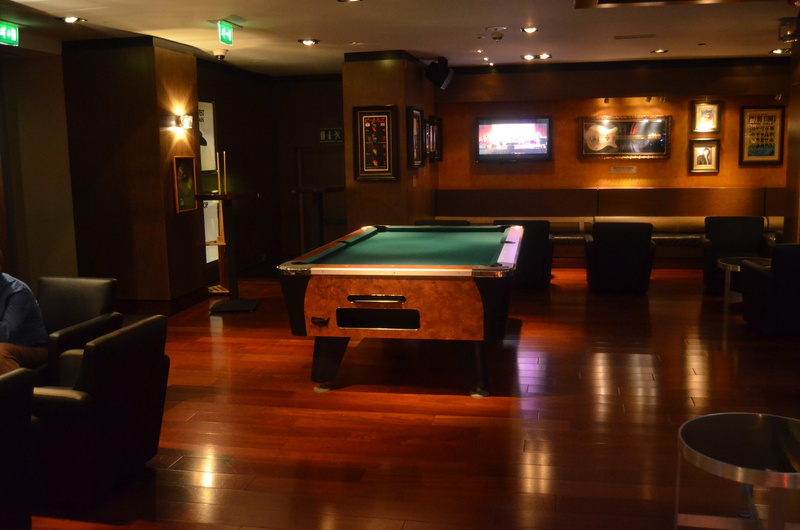 Overall it is a great place to spend your evenings and make your days special. 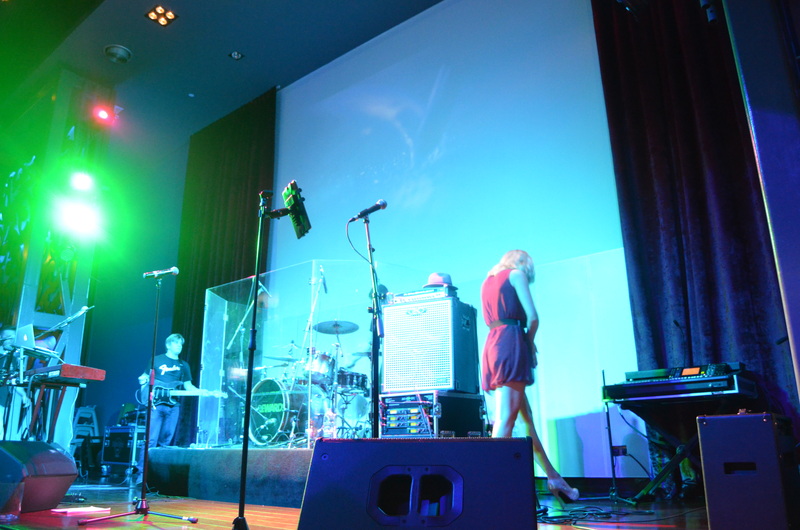 If you want a Music Band to wish your loved ones on their special days this is definitely place. 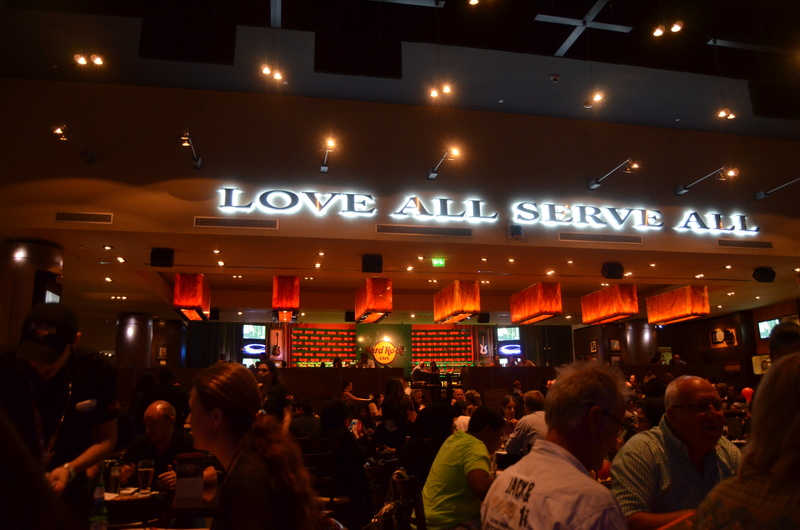 Hard Rock team will be happy to make your loved ones feel special. At end I would like to mention the pool table as well we really loved playing pool there and enjoying their excellent music. 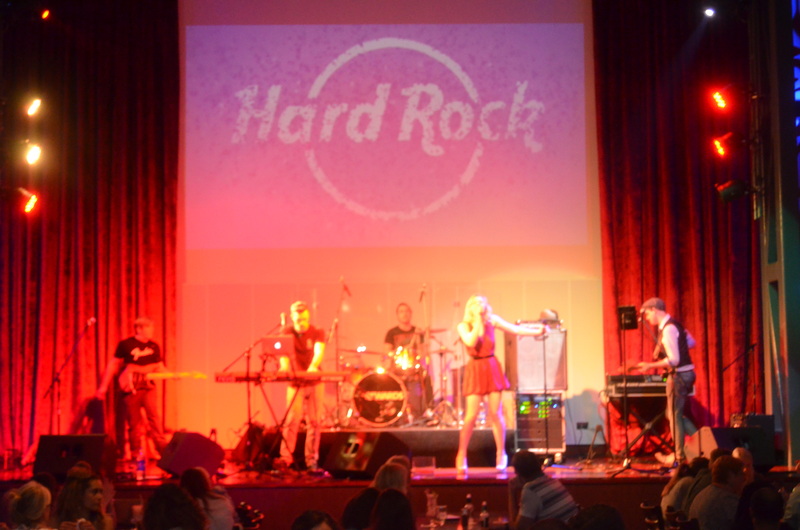 If you want to know more about Hard Rock Dubai on their Facebook page.